We’re kicking off 2018 right with the arrivals from the manufacturer of XD Series Rims. 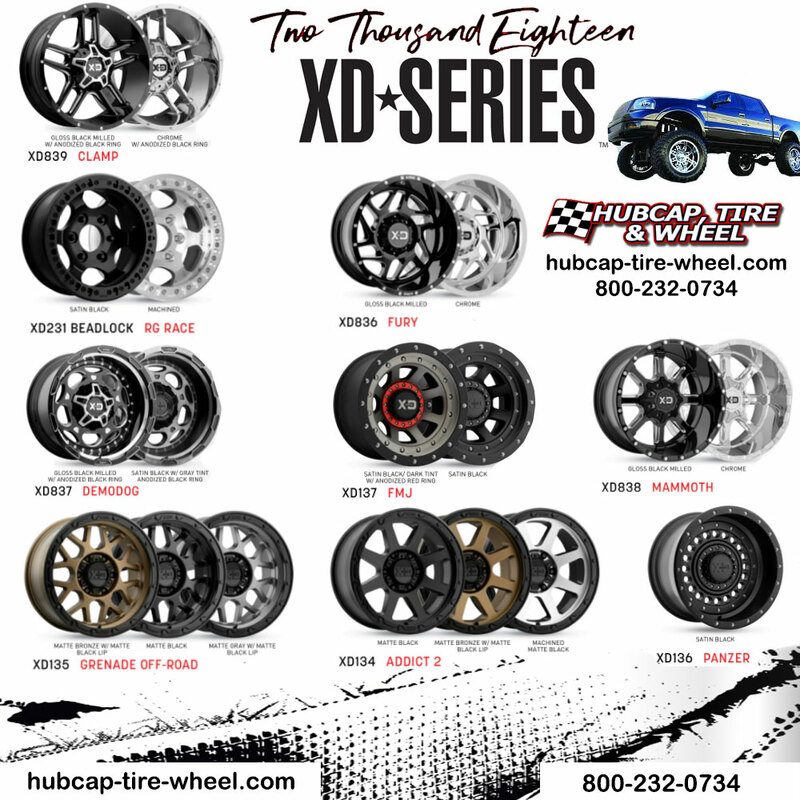 The new XD models are: XD839 Clamp, XD838 Mammoth, XD837 Demodog, XD836 Fury, XD136 Panzer, XD137 FMJ, XD134 Addict 2, XD135 Grenade Off-Road & XD231 Bead Lock RG Race. With rim styles ranging from simplistic in nature to dynamic in design, it’s a guarantee that there is something you will want to call yours. There are diversified assortments of colors to choose from among various accessories to complete your desired look. 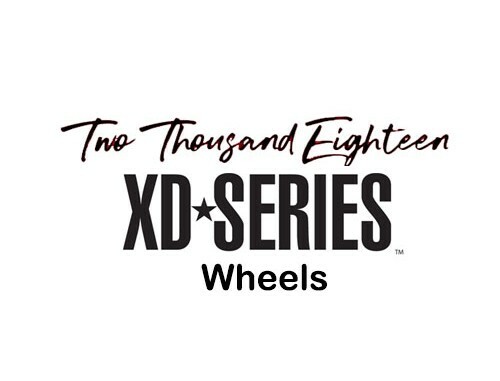 If XD series wheels have caught your attention, we have an expert staff prepared to assist you in procuring the correct size and proper fittings necessary for your vehicle. We can be reached at 8:30 a.m to 6 p.m Monday through Friday and 10 a.m to 4 p.m on Saturday at, 800-232-0734. Choosing the right wheel isn’t just about picking the best looking style. Here at Hubcap Tire and Wheel you can rest easy knowing that our staff will ensure that you get the rims that are a proper fit for your vehicle.